Home / SkinCare / Alteya Organics Bio Damascena Regenerating Concentrate. 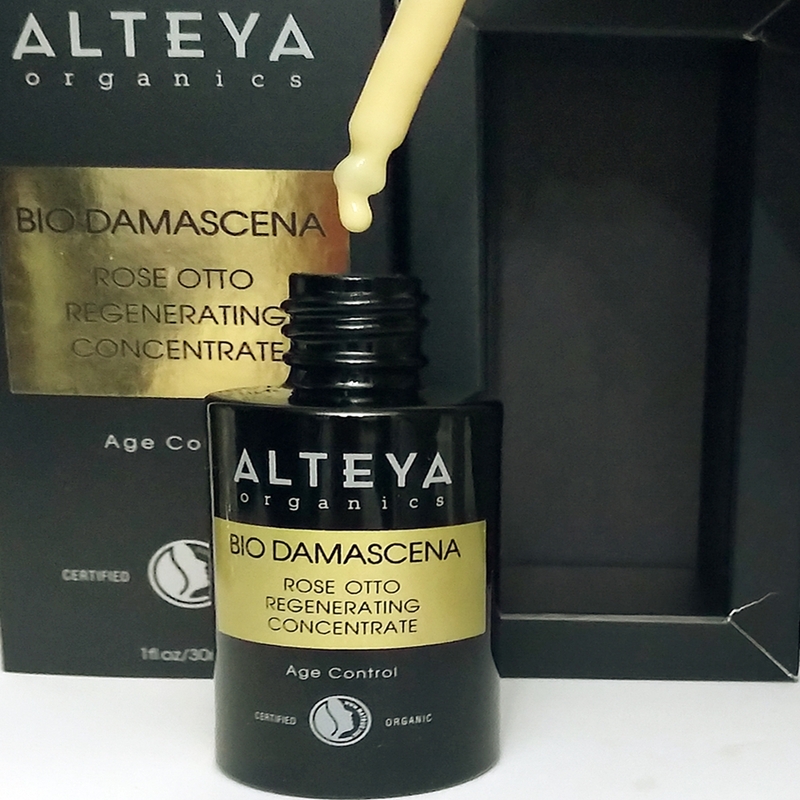 Alteya Organics Bio Damascena Regenerating Concentrate. I was gifted the product to write an honest review #ad. 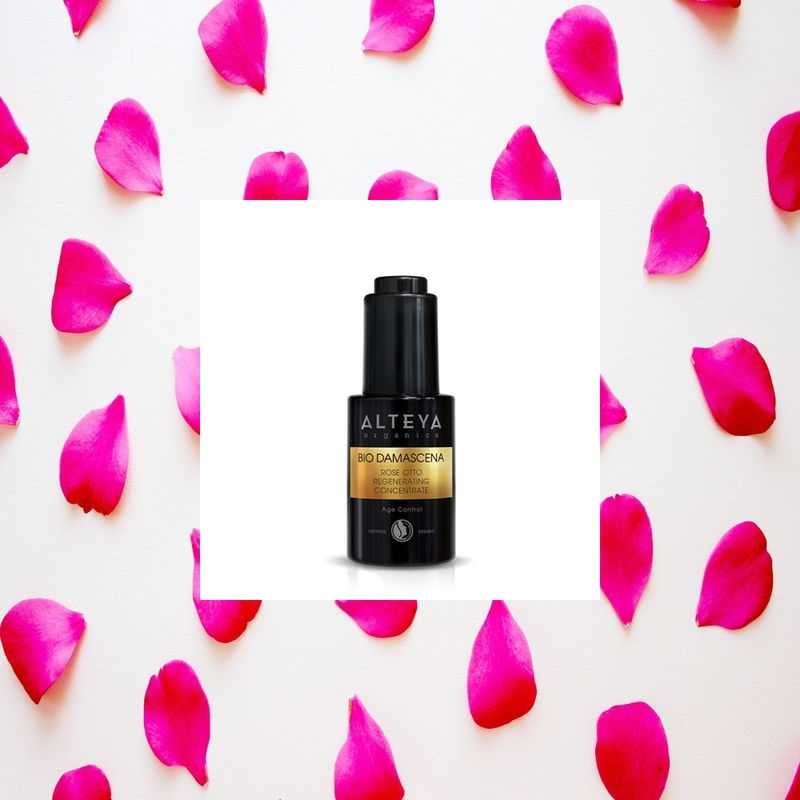 Deeply replenish the skins structure to restore vitality to all complexions, when applying the Alteya Organics Bio Damascena Regenerating Concentrate to the skin daily. The Supercharged regenerating concentrate uses BioActive plant science to stimulate cell regeneration and provide the skin with essential moisture and nutrients, without using any harsh chemicals in the formulation. Incorporating and utilising an anti-aging phytocomplex, the skin is lavished with rose otto, white truffle extract, and marine bioactives, that all work together to improve the deep layers of the skin as well as the skins surface for a healthier complexion. Distilled Thermal Water - Rich in minerals, it reduces inflammation and helps to strengthen and regenerate the skins barrier resulting in softer and smoother skin. Glycerin - A humectant that draws essential moisture to the skin, but also acts as an emollient to help keep skin supple and soft. Aloe Barbadensis (Leaf) Powder - Restores essential moisture to compromised skin such as dry or flaky, while also helping to heal any skin wounds such as acne. Isoamyl Laurate - Ester of isoamyl alcohol and lauric acid, it is used in formulations to help spreadabilty and feels or gives (skin softening) the sensation of velvet. Glyceryl Caprylate - A combination of glycerin and stearic acid that is used as an emollient. Xanthan Gum - Used for product enhancement to thicken and stabilise a formulation. Bisabolol - A skin conditioner that is a natural anti-inflammatory, anti-irritant, and anti-microbial. Hydrolyzed Algin - Derived from Algae or Seaweed, a skin-conditioning agent. Hydrolyzed Verbascum Thapsus Flower - A natural ingredient that is able to adsorb harmful UV radiation and transform part of the adsorbed energy into visible light to brighten the skin. Kaolin - Stimulates the skin, while also helping to maintain sebum production for balanced skin. Rosa Damascena Flower Extract - Extract from the rose flowers for a natural fragrant and aromatic experience. Glyceryl Undecylenate - A natural humectant that draws moisture to the skin, while also being an emollient. Tuber Magnatum Extract (white truffle) - Provides anti-aging benefits and long term moisturization for the skin. Citric Acid - Treats several skin complaints such as pigmentation, fine lines, and many more. 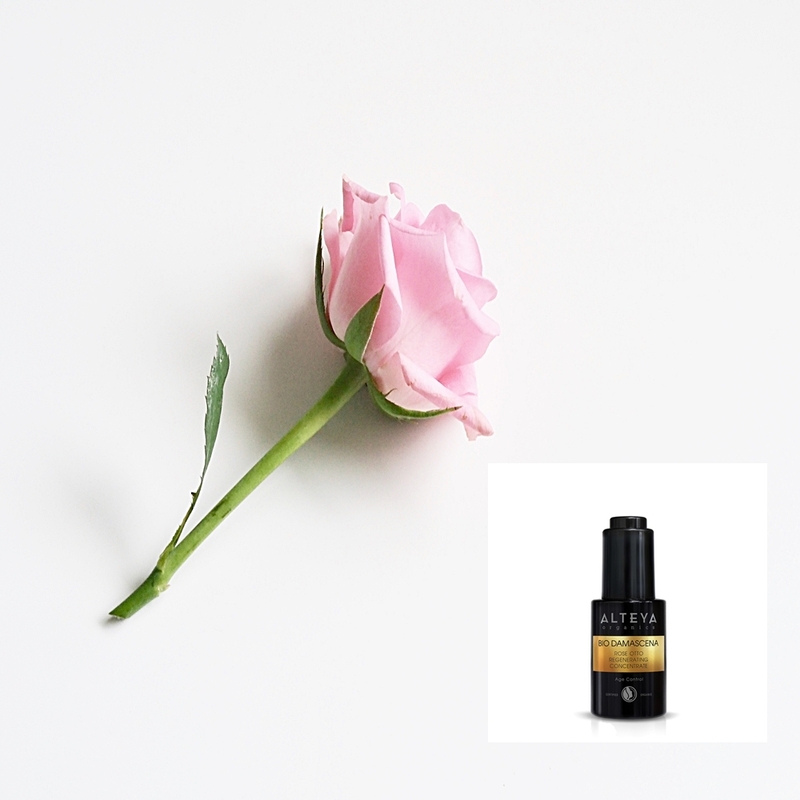 Rosa Damascena (Rose) Flower Oil* - A combination of vitamins, minerals, and antioxidants to help skin tone, texture, and all signs of aging. Alteromonas Ferment Extract - Extracted from deep sea algae, the polysaccharide properties to hydrate, repair, restore and protect the skin. Sodium Benozate - A natural preservative used in formulas. Potassium Sorbate - A paraben alternative that is used in natural skin care products to keep your product from spoiling and from microorganisms. * Certified Organic Ingredients ** Naturally occurring in essential oils. purchase the multi-tasking Bio Damascena Regenerating Concentrate from LoveLula. *Due to the changes from ASA (Advertising Standards Authority) & CAP (Committee of Advertising Practice) Any free product received has to be declared as an "#ad". I was gifted the product in my blog post, but this does NOT change my honest opinion or writing freedom i express in my blog posts. x Neil.